Su-chala has completed its 6 years for working with working children. At present 32 boys and girls are getting stipends. Each student gets Tk. 500/- per month for study-contingency and yearly Tk. 800/- for school dress and books. 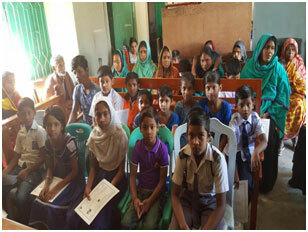 Children are selected from BASTOB’s project area and mostly from Keraniganj and Uttara Thana of Dhaka district. Women headed poor families are considered as a potential stakeholder of this project. The major objective of Su–chala is to ensure basic education for the poor working children. Su-chala lighted the candle of hope before Belboron Modak who finally passed PSC. The 8 year old malnourished boy of a poor family from the village Shikaritola in Keraniganj Upazila did not ever dream of going to school and never thought of shaping his life any differently than the poverty stricken disadvantaged society which he belonged to near the shade of Dhaka Mega city. Father Nifal Modak and mother Salona Rani did not even dare to dream to educate their son at all. They surrendered to the prevailed condition of practical life of wants and sufferings. When earning daily bread is a challenge every morning, children’s education is no longer a priority. Children will also work in factories, workshops and streets for survival as well as to support their sick fathers and unhealthy mothers. This is their life and this is the reality of hundreds, of thousands. However, in this world of changing societies, sometimes, something happens somewhere, which attracts our attention and creates hope for living in the ocean of disadvantages. Master Modak’s successful completion of PSC exam with Su-chala school and stipend is such an example. Belboron Modak continued his studies with Su-chala stipend for five years and finally success kissed him. Master Modak now dreams for further studies and better income for his family. His parents are convinced to believe that there is still hope in life. They say that patience and hard labour are very essential to stay well and to shape children’s life. When Mr. Nifal Modak was talking to BASTOB’s Brach Manager after the publication of his son’s PSC result in 2017, he was smiling with happiness and beaming with pride, putting his right hand on the shoulder of Belboron. He said people need to look around for opportunities and should grab it for changing their lives. He meant BASTOB’s Su-chala and how it brought success to his son. B.1.2. Ashar-Alo Education Development Project for Poor Children. 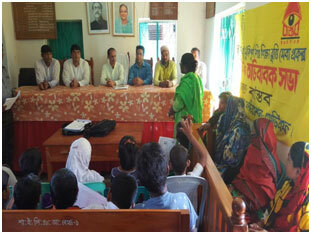 This is a scholarship Programme implemented in Barisal district. The main aim is to provide financial support to the poor and meritorious children so that they can continue their studies. The duration of this second phase is from July 2011 to December 2019. Ashar-Alo, Germany is providing financial support for this project. 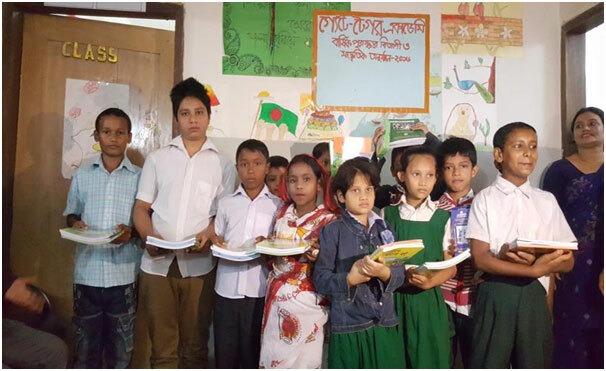 Goethe-Tagore Academy is a joint venture of BASTOB and DEUTSCH-BENGALISCHE KINDERHILFE (DBK). The aim of this project is to maintain a socio-culturally acceptable standard learning programme. The academy helps students learn specific lessons during school hours, so that they don’t have pressure of home works. This academy believes that teachers’ active cooperation will make the students’ basic education strong and will open the windows of bright future. 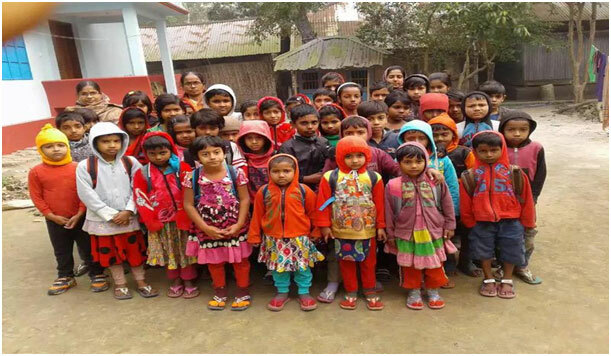 The school started in 2013 with 24 students. In the year 2018 there are about 100 students. Majority of the parents are garment workers, security guards, house maids, small shop keepers, rickshaw pullers, vegetable sellers, etc. 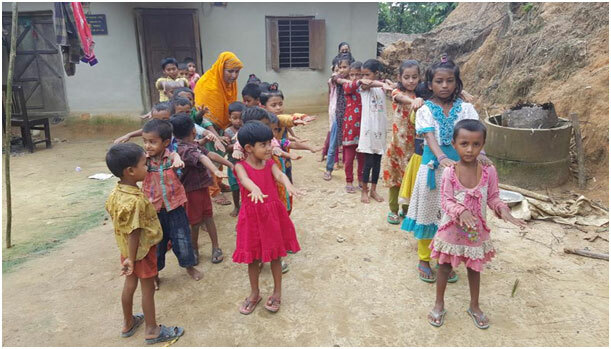 BASTOB started 25 non-formal primary schools in Chakaria Upazilla in Cox’s Bazar district with the partnership of BRAC. In each school there are 30 students. In 15 schools, each student pay tuition fee of Tk. 135/- per month.